The Association has a Committee of 6 members which meets on an ad hoc basis and is responsible for the day to day running of the organisation. An Annual General Meeting is held each year in January/February. The costs for the operation and maintenance of the allotment site are met from charges made on each plot holder supplemented by additional funds raised by the Association through various fund raising events including a quiz night and annual vegetable show. The charges currently levied on plot holders consist of an initial one off returnable deposit of £10, plus and annual half plot rent of £25. In addition, £5 p.a. is charged to each member as an Association membership fee. The rent is £15 for plot holders over the age of 60 years. 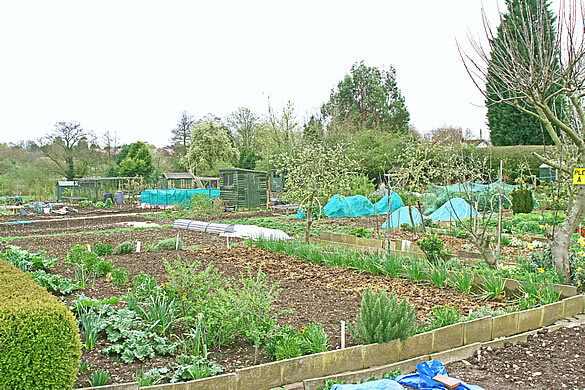 The Association is affiliated to the National Society of Allotment and Leisure Gardeners and holds an insurance policy as recommended by the NSALG. Enquiries through the Association Secretary – Rob Hawkes tel: 01564 826 323 or via the Allotment Association contact form.